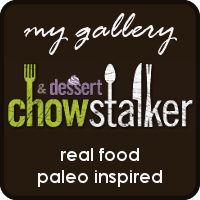 Living, loving and laughing my way towards a balanced paleo life. I love pork for its incredible versatility. Depending on the spices you use, you can travel the world with this meat – and that makes me happy. Tonight I wanted to make an avocado-citrus cream I’ve been thinking about, so I went south for the flavor profile. I served it on top of butternut squash noodles but it was also great on its own. Depending on your chili powder, this can be quite spicy or not at all – so feel free to add more spice if you need to kick it up. Either way, the cooling avocado cream will round everything out perfectly. 1. In a large bowl, massage cumin, garlic, and 1 tsp. of salt into the cubed pork loin. 2. Melt 1 T. coconut oil in a large pot over medium-high heat. Add pork without crowding the pot and brown well. This may take several batches. Set aside. 3. Melt 1 tsp. coconut oil in the pot and add the onion, bell pepper, jalapeno and 1 tsp. salt, stirring and scraping up any brown bits until the vegetables begin to soften. Add the minced garlic and stir until fragrant, then add the chili powders and coriander. Return the pork to the pot with its juices and pour in the tomatoes and water. Bring to a boil, then lower the heat to medium to keep a lively bubble. 4. Leave the lid off and allow the mixture to bubble until most of the liquid is gone for a thick stew. This will take about an hour. Check the tenderness of the pork and when ready, serve with a generous dollop of Avocado-Citrus Cream (recipe follows). 1) Place everything in a blender and blend until very smooth and silky. I used a Magic Bullet, but you could even mash it with a fork. A little chunkier but still tasty! I think so too! While generally I do a different variation when I’m making straight-up guacamole, this citrusy-creamy one is sooo good with the pork. I’m glad you liked it! Fabulous recipe! And fairly easy. Hardest part was browning the meat. My hub loved it too. Will be making it again. We didn’t make the cream but definitely will next time! Thank you! we all loved this. we used leftover pork loin that was cooked on the grill with brown sugar, whiskey, dijon mustard and a rub called cold mountain rub. 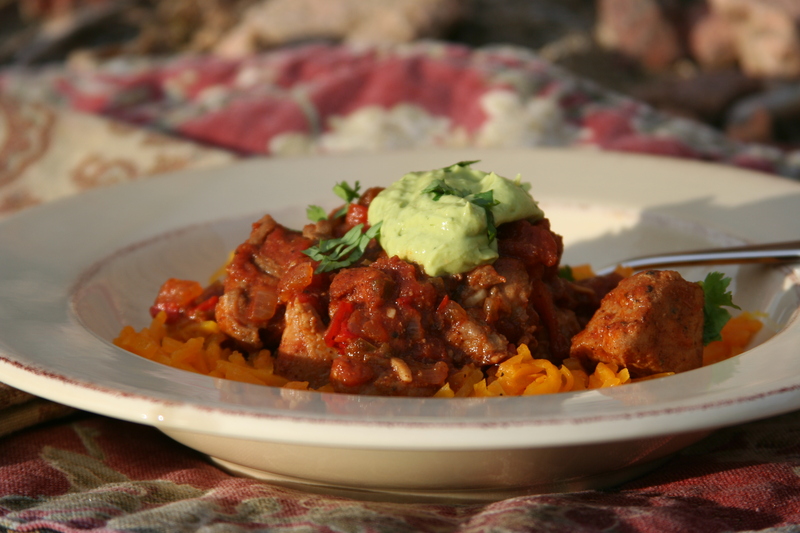 It was very very flavorful and the avacado topping wasjust right to cool it off yet retain the flavor. great receipe. its a keeper.thanks. I’m so glad you enjoyed it, Terri! I love using leftovers too! This was absolutely delicious. The cream would be good on raw mahi mahi or ahi, to make it ceviche-ish. Super good! Thank you, Amber, for your kind comment! I’m so glad you liked it! And your ceviche idea sounds delicious!! This recipe is so good! I served it with cubed and roasted sweet potatoes, which was a great compliment to the stew. Great with or without the avocado cream. I’m so glad you enjoyed it! Thank you for the comment! Welcome! My name is Michelle and I'm a mom, foodie, and fitness loving woman living in Colorado and looking to find balance in all things health and wellness. I believe balance is fluid like the branches of trees on a windy day. That's life and I love it!